Enigma Book Series website, YouTube, Amazon Authors Page, and Facebook. We would like say a big howdy to Ernie Lee, poet extraordinaire, at Aim High Books. We’re glad to now be listed on the prestigious web site of E-Books Galore. Visit them for your e-book file format of choice at E-Books Galore247. Welcome to our friends at Kobo ebooks. Extending a welcome to our friends at PRESS RELEASE PLACE in the United Kingdom. 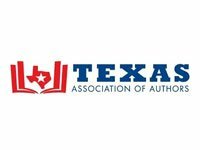 The Texas Association of Authors graciously allowed us to join their ranks of Texas Authors. You can find our books for sale there and us on the campaign trail. North Texas Book Festival committed to reading and promoting self-esteem for up and coming self published authors. The Independent Publishers Group is an established source of information and potential recognition for self-published authors.Annual awards for many genres. Publishers Weekly, familiarly known in the book world as PW and “the bible of the book business,” is a weekly news magazine focused on the international book publishing business. It is targeted at publishers, booksellers, librarians, literary agents, authors and the media. Founded in 1933, Kirkus has been an authoritative voice in book discovery for 80 years. Kirkus Reviews magazine gives industry professionals a sneak peek at the most notable books being published weeks before they’re released. Kirkus also has a full suite of author services, including Kirkus Indie, a book review service for self-publishers, Kirkus Editorial, book editing services for unpublished and self-published authors, and Kirkus Marketing, services that help authors get discovered by consumers as well as industry influencers, such as publishers, agents and film executives. AuthorU (niversity) is a non-profit membership community of authors, writers and publishers. Author U will show you how to create, develop and publish your book without being hoodwinked. If you already have a book out, you will find a supportive and brain-storming community that is connected and creative. The Literary Titan is a book review website which consists of mostly fiction books, but we do enjoy non-fiction works that we’re excited about. All reviews are the reviewer’s honest opinion. We love books and read constantly (seriously, it’s an addiction). We’re always open to book review requests and have aspirations of one day being sucked into the Twilight Zone episode with Burgess Meredith where all he wants to do is read, but can’t until the world ends; you know what I mean? Offers soup to nuts support for audible book creation. A big welcome to our friends in Australia at Event Zero. Many thanks to David Tucker and Gina French for your cameo appearances in our book The Enigma Always. HIS Publishing Group – our website developer who is really patient and helpful. For outstanding photography for authors and many other events, Brooke has the experience and professionalism to find the right look for everyone. Front Rose Productions: Josh Trant at Front Rose Productions is delivering our 90 second video teasers shown here on our website, on YouTube, on Amazon Authors page, and Facebook. Front Rose Productions specializes in producing book trailers for authors and novelists to help them market their books. Josh truly invested in every trailer made and remains passionate about making video teasers that are unique, personal, and expressive. If you find yourself out near Itasca Texas on a long motorcycle ride, stop by the Hutcheson Farm on highway 67 just west of highway 81 for some fresh produce and spirited discussion. (They don’t have a website because they are too busy growing fresh produce). We’ve made some new friends at Checkered Past Winery in Dallas! Red Caboose Winery: The Texas winery featured in The Enigma Wraith. Great wine and nice folks. 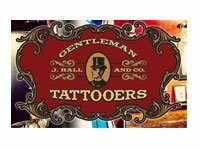 Josh – Gentleman Tattooer: Dallas Tattoo artist with a great talent and rich sense of humor is found in several books through the series.